The negative health impacts of living near these facilities has been extensively documented. In our city, residents in such neighborhoods are trained to intervene in the case of asthma attacks, due to the high frequency of such attacks and the distance to medical treatment. I’ve only scratched the surface of the devastating case Rothstein makes for de jure segregation throughout American history. 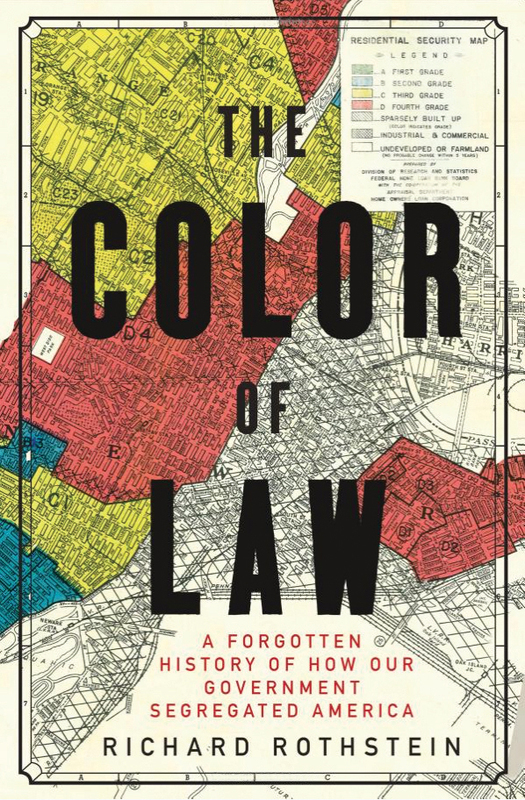 The Color of Law is compelling not only for the author’s precise way of telling this generally unacknowledged story, but also for the personal narratives he weaves throughout. The impact of politicians and policies is unmistakable as we encounter individuals and families whose lives were made undeniably more difficult and sometimes more dangerous by the accepted law of the land. But the consequences were more than individual. By some accounts the average African American today holds just 6 percent of the wealth of the average white American, an ugly fact Rothstein attributes in large part to housing segregation. Statistically, black families pay more in rent, have had to commute farther for work, and, perhaps most significantly, have not had access to the equity that many white families accessed when purchasing FHA approved homes generations ago. The generational accumulation of housing injustice is not a distant memory; banks in our city have been found liable for targeting black and Latino communities for risky mortgages in the lead-up to the recent recession. The implications of Rothstein’s book for our churches are endless. Understanding why our suburbs and cities look the way they do ought to shift how we think about their residents. When we see the intentional forces that have shaped our living environments we can be more aware of how those same often-malevolent forces are at work shaping us. From my vantage point, in a city with countless examples of segregation and its devastating implications, the most important implication is about how we pursue justice. The Color of Law makes unmistakably clear that segregation did not inevitably happen; rather, it was chosen by those in power and embraced by the majority of white America as the best way to live. This means that when those of us who are white seek to engage the injustices wrought by segregation, we must do so from a repentant and humble starting point. We are, after all, complicit beneficiaries in the injustices we now confront. 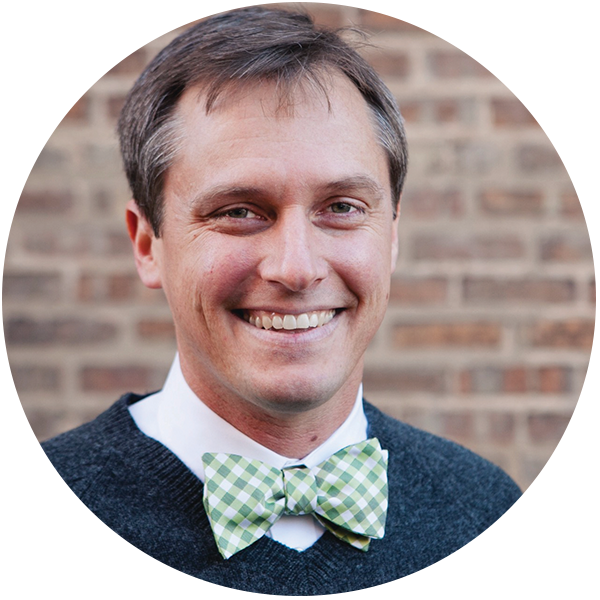 David Swanson is pastor of New Community Covenant Church in the Bronzeville neighborhood of Chicago. To those of us in fly over country, it looks as though the political powers that have controlled our cities so long have done little but keep power and perpetuate and promote minority poverty.